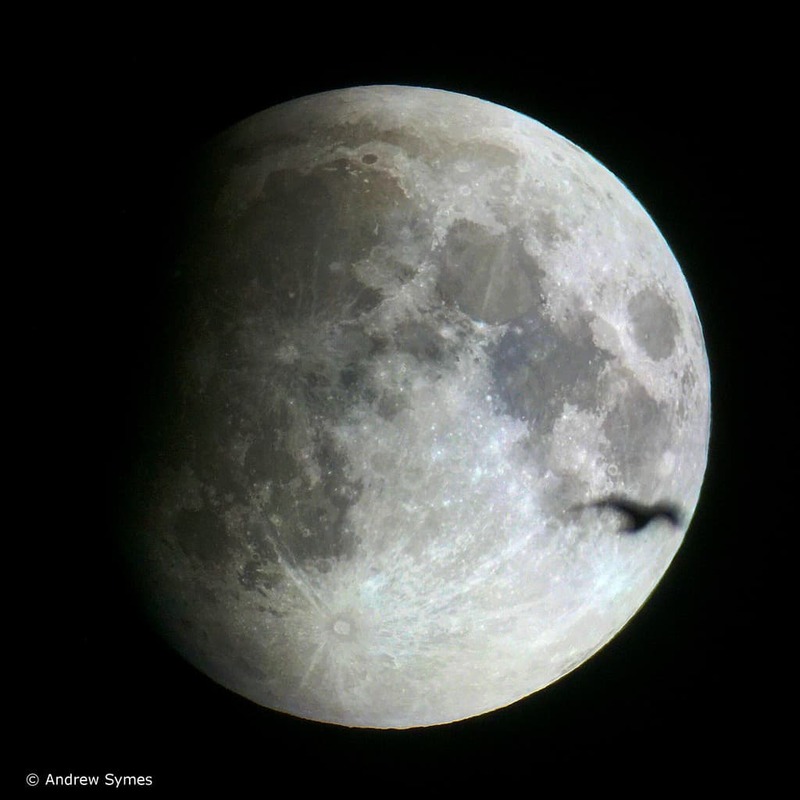 _ Photo: “Lunar eclipse and bird” by Andrew Symes. Taken in Ottawa on Sept. 27, 2015. _ ** UPDATE: Check out photos from the eclipse here… ** Wednesday’s lunar eclipse will not be fully visible in Ottawa, but sky-gazers can still catch a glimpse of it shortly before the moon sets in the morning. The eclipse begins at 6:48 a.m., when the earth’s shadow will start to cast. Similar to sunrises and sunsets, the moon will start turning red as the eclipse continues and it gets closer to setting. You’ll want to get high up and have an unobstructed view to the west-northwest. The maximal eclipse visible in Ottawa will occur at 7:10 a.m., according to the Canadian Space Agency . The moon sets at 7:23, so we’ll miss the total eclipse at 8:29 (this eclipse is most visible in Asia, Europe and the Pacific.) Timeanddate.com will have a stream of the entire eclipse starting at 6:30 a.m. Unlike a solar eclipse, it is safe to view a lunar eclipse with the naked eye – although the CSA suggests employing binoculars or a telescope to see it close-up. “You can even take a photo of a lunar eclipse with your cell phone under the right circumstances,” the agency says. 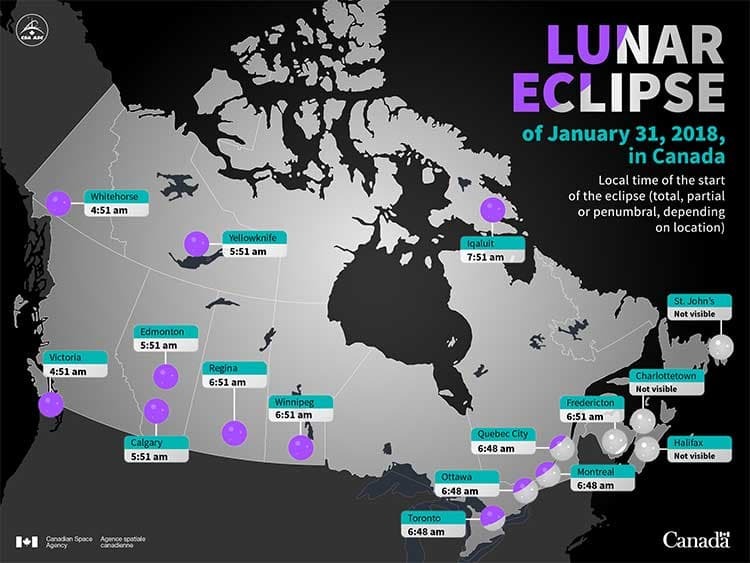 The next total lunar eclipse visible in Canada will be on Jan. 20, 2019.